七年级英语上 unit8 单元测试题满分 100 分一、单项选择（15 分，每小题 1 分）1.-- is your cousin?--She s fifteen years old.A. How B. How old C. How many D. How much2. The tenth month of a year is A. August B. October C. September D. July3. There are twenty-eight days in A. January B. February C. March D. June4. -- is your mother s birthday?--It s May 8th.A. What B. Where C. Which D. When5. --Hey, Uncle Joe. Happy birthday!-- A. You re welcome. B. Thank you. C. The same to you D. Hello.6.Tony is twelve old, but his sister is only one old.A. year; year B. years; years C. years; year D. year; years7. －Is Julia’s birthday on May 1st? －Yes, _______. A. she B. it is C. he is D. she is 8 My birthday is _____ September 13th.A. in B. on C. to D. of9. Today is Tom’s _____ birthday.A. fiveth B. five C. fifteenth D. fifteen10. December is the ____ month of a year.A. first B. tenth C. eleventh D. last11.I have a basketball game _________ September.A. at B. on C. in D. of12. Tom is a middle school student. How old is he? _________. A. The thirteen B. ThirteenthC. Thirty D. Thirteen13._________ comes before December, but after October. A. November B. SeptemberC. August D. January14. “When is ____ birthday?” “ It’s April ______.”A. you; 21st B. your; twenty C. her; 20th D. she; 21st15. How old ____________ your cousin brothers? A. are B. am C. is D. were 二、完形填空。（10 分，每小题 1 分） __1__, I m Meg. I m twelve years __2__. I have a brother __3__ a sister. My brother is nine and my sister is __4__ four. I like hamburgers and salad. My brother likes __5__ and my sister likes ice cream. We __6__ a small sports collection. We all like tennis. Today is my __7__ birthday. It s January 21st. There s a big cake __8__ the table. How __9__ is it? Do you know? It s seven __10__. Come to my mother s birthday party and have some cake.1. A. Hello B. Sorry C. Please D. Thanks2. A. young B. old C. big D. small3. A. but B. or C. and D. with4. A. no B. yes C. last D. only5.A. tomatoes B. tomatos C. one tomatoes D. some tomato 6. A. has B. sound C. have D. play7. A. mother B. mothers C. mother D. mother s8. A. in B. on C. at D. to9. A. much B. many C. some D. any10. A. fens B. jiaos C. dollars D. yuans三、阅读理解（30 分，每小题 2 分）ADear Tony, How are you? Are you still coming to my birthday party in July? My family, friends and my classmates are all coming. The party is on Saturday July 2nd at around 6:30. It s at Uncle Bill s restaurant in the city. First, we eat and talk from 6:30—7:45. After that we can go to a concert at 8:00. I hope you can come. You can meet my other friends and sisters, too.Please write me soon.Yours,Emily1.What does Emily talk about in her letter?A. Tony s birthday. B. Her birthday. C. Uncle Bill s birthday.2. Where are they going to have the party?A. In Central Park. B. Near the History Museum. C. At Uncle Bill s restaurant.3. What can they do from 6:30 to 7:45? They can ________.A. go to a concert B. eat and drink C. go to the museum4. What time does the party start? It starts at about ________.A. 6:30 B. 7:45 C. 8:005. Is there a free concert at 8:00 every Saturday night?A. Yes, there is. B. No, there isn t. C. Sorry, I don t know.BMy name is Zhen Zhuo. Today is my birthday. I m nine years old. Mum and Dad get a big cake for me. I like it very much. It s on the table now. There are some other things on the table too, like apples, orange juice, chicken and some fish. I m thirsty (口渴) now. I d like a bottle of orange juice. My friends Du Ke and Bai Jie are coming. They are knocking at the door. I have no time to drink. I must open the door now. 1.Zhen Zhuo is___________. A. twelve B. ten C. nine D. fifteen 2.There are some___________on the table. A. eggs B. oranges C. fish D. ice creams 3.Du Ke and Bai Jie are Zhen Zhuo s ___________. A. sisters B. cousins C. classmates D. friends 4.Zhen Zhuo is ___________ now. A. hungry B. thirsty C. full D. happy 5.___________ are knocking at the door. 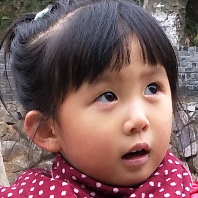 A.Zhen Zhuo s parents B.Zhen Zhuo s sisters C.Zhen Zhuo s friends D.Zhen Zhuo s brothers CMr. King goes to a dinner party. He is wearing old clothes. He comes into the room. But people in the room don’t look at him. They don’t ask him to sit at the table.Mr. King goes home and puts on his good clothes. He goes back to the party. Everyone in the room stands up and smiles at him. They give him very good food to eat. Mr. King takes off his clothes, and puts them in the food and says, “Eat, clothes!”The other people ask, “What are you doing?”He answers, “I’m asking my coat to eat food. I am wearing my old clothes. You don’t look at me. You don’t ask me to sit down. Now I’m in these clothes. And you give me very good food. Now I see, you give the food to my clothes, not to me!”1. Mr. King goes to the dinner party, but people in the room don’t look at him. Because __.A. he doesn’t come by car B. he is young C. he is wearing his old clothes D. he is old2. Mr. King goes home to _______ his ________ clothes.A. put on; good B. puts on; fine C. take off; good D. wear; good3. Mr. King goes back to the party. People in the room stand up and smile at him because_____ .A. he is wearing his old clothes B. he comes by a very good carC. he is wearing his good clothes D. he is putting on his good clothes4. Mr. King takes off his good clothes, and ________ them _________ the good food.A. ask; to eat B. asks; to eat C. lets; to eat D. ask; eat5. Mr. King says the good food is _______.A. 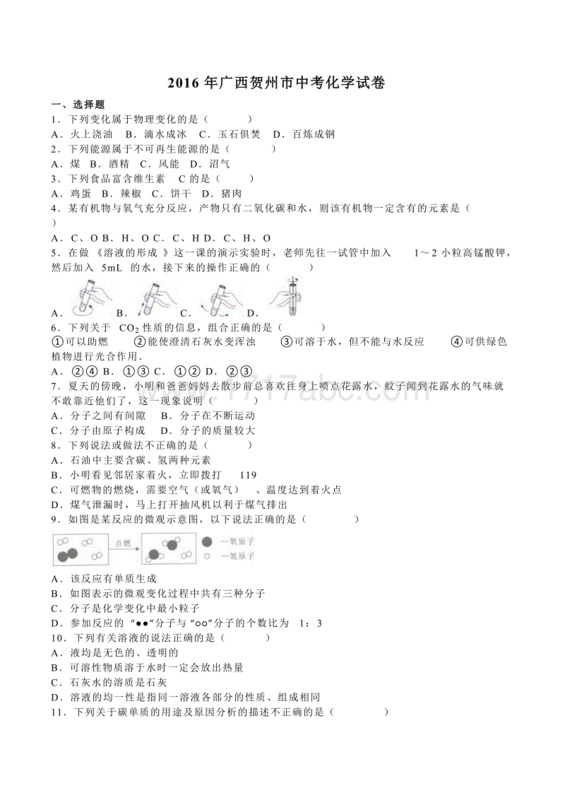 for he B. for his good clothes C. for me D. for him四．根据句意及首字母提示完成单词。(5 分)1. Mrs Hand s kid is only eight m old.2. Today is my sister s birthday, so I want to have a p for her3. When is our book s_______ ?4. D_____ is the last month in a year.5. S____ 10th is Teachers’ Day.五、根据句意及汉语提成单词拼写。(5 分)1．Vera likes_________(中国的)music very much．2．We want to take a_________ (观光旅行) ．3．Our school has an Art F_________4．Is May_________( 第二十)your birthday?5．It’s great．We have a_________ (高兴的 )day．六、短文填空（10 分，每小题 1 分）用所给词的正确形式填空，每个词只能用一次。Love， February, eat, happy, like, China, Festival, help, shop, house.The Spring 1 is the Chinese New Year’s Day. It usually comes in 2 . Everyone in China 3 the Spring Festival. When the Spring Festival comes. Li Lei usually 4 his parents clean their 5 and do some 6 to busy something and other housework.On that day everyone in China 7 jiaozi, New Year’s cakes and some other delicious food. LiLei 8 New Year’s cakes, but LanLan says jiaozi is nicer than New Year’s cakes. The 9 people eat the New Year’s cakes and jiaozi in their houses.How 10 they are!七、任务型阅读：（10 分，每小题 2 分）It s October 16th. It s Jeff s fifteenth birthday. In the morning Jeff gets up very early. He goes to Tokyo with his parents. They are going to stay there for a week. Tokyo is the capital of Japan. It s very nice. They can see many parks in Tokyo. Jeff likes Tokyo very much.They live in Green hotel. It s very big and clean. Oh, in the hotel Jeff meets Iris old friend Lisa. The two kids are very (A) . In the evening Jeff s father has a birthday party for Jeff in the hotel. (B) Lisa and her parents also come to Jeff s birthday party. They have a good time. At the party Lisa sings a Japanese song for Jeff, at about twelve o clock, Jeff doesn’t go to bed. He still plays games with Lisa.根据短文内容完成下列任务。1. When is Jeff s birthday?__________________________2. How does Jeff get to Tokyo?______________________3．选择意思相近或相同的选项替换划线邵分。They can see many parks in Tokyo.A. much B. a lot of C. a lot D. very much4．选择适当的词汇完成(A) 空格部分，使句意完整。A. interesting B. healthy C. happy D. unhappy5．将划线部分(B)翻译为汉语。__________________________八、书面表达、Tom 是英才中学的一名学生，请根据他 10 月份的日程表，写一篇 60 词左右的短文介绍 Tom 在 10 月份的活动，可适当发挥。(15 分)七年级英语上 unit8 单元测试题答案一、1-5: BBBDB ,6-10:CBBCB, 11-15:CDACA二、答案：1.A 2.B 3.C 4.D 5.A 6.C 7.D 8.B 9.A 10.三、A：答案： 1-5：BCBA C  C:答案：1-5：CACABB:答案：1-5：CCDBC四、答案：1. months 2. party3.sale 4.Dcember 5.September五、答案：1. Chinese 2. trip 3. Festival4. twentieth 5. happy10.6 have a birthday party for my brother10.16 Art Festival10.20 basketball game10.28 School trip六、1-5 ：Festival, February, loves\likes, help, house6-10:shopping, eats, likes\loves, Chinese, happy七、答案：1．It’s October l6th． 2．We don’t know．3．B，4．c，5 ．莉萨和她的父母也来参加了杰夫的生日聚会。八、答案： Tom is my good friend. He s fourteen years old. He s a student at Yingchai Middle School. In Octomber he is very busy. Octomber 6th is his brother s birthday. He wants to have a birthday party for him at home. On Octomber 16th his school has an Art Festival. Ocotomber 20th is his basketball game. Octomber 28th is his school trip. This is a really busy month.